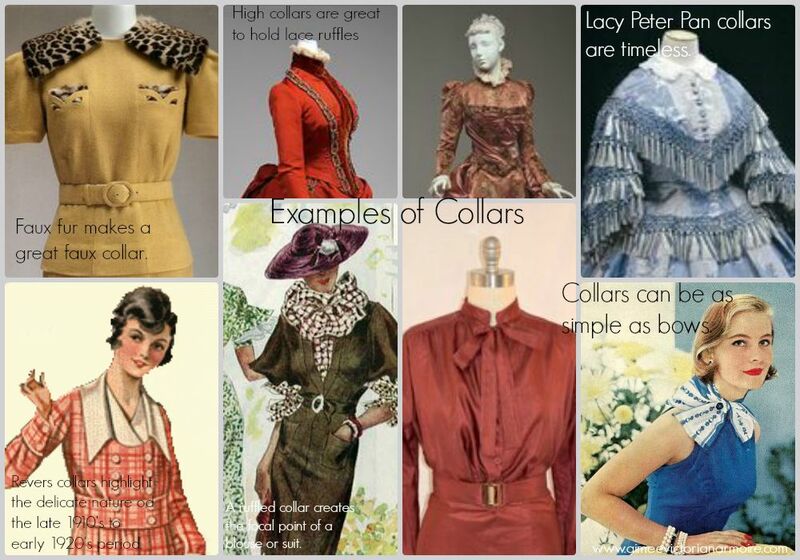 As one of the easiest aspects of bodice making, collars come in as many shapes and styles as one can imagine. 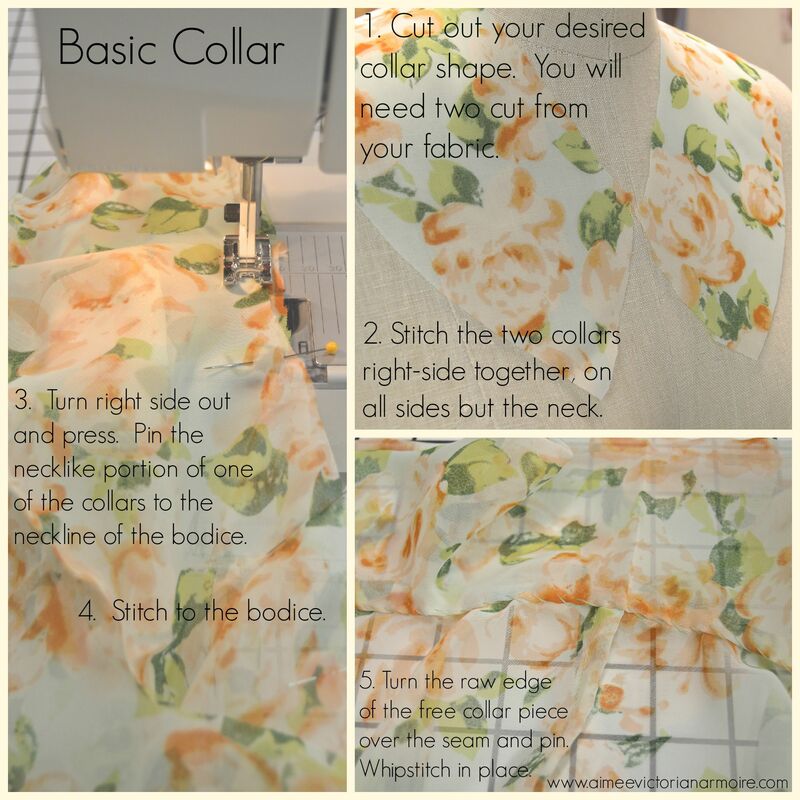 The majority of collars are stitched in the same way so it makes it very easy to play around and try various styles. The trick is to make sure that your whipstitch can only be seen on the inside of the garment. Add interfacing for a stiffer collar or change up materials to add interest and contrast to your creation!